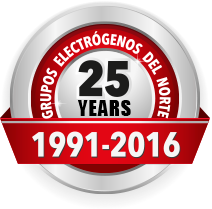 Grupo Norte, with more than 25 years of experience, has become one of the most important companies in the sector. Product quality and team effectiveness are the key to our success. We opperate in sectors such as health (hospitals), livestock, feed, poultry, windpower, industry, leisure and electrical supplies. More than 1000 verified supplies show Grupo Norte’s know-how and motivation towards customer’s satisfaction. With the reliability of a great brand, FG WILSON , and our large experience we can offer a wide range of generators (fixed, mobile, open, styling) configured from 6.8 KVA to 2500 KVA. D. Accesorios Auxiliares: Cargadores electrónicos, etc. E. Consumibles: Filtros, Tarjetas reguladoras, Bombas de agua, Inyectores, etc.